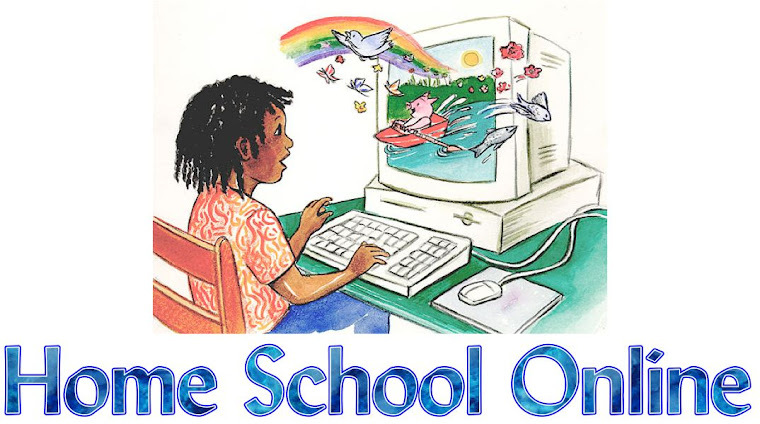 Home School Online: Homeschooling Children Who Learn "Differently"
I LOVE homeschooling my children! I consider it an honor and privilege to raise up four sons who learn both typically and differently. It is such a JOY to watch them have their “AHA” moments. However, I remember a time where it didn’t feel so joyful because there were not many “AHA’s” taking place in our home. Just this past year I had a personal experience that really helped me to grasp what my children with "CAPD" go through when trying to learn. Our support group was preparing to host a big homeschool conference. As the weekend drew closer I noticed my computer acting funny. I had e-mails and details that needed to be taken care of and every time I would try to look up a document I would get a prompt that said, “File Not Found”. It was so frustrating. (We were to later find out that it needed to be defragmented) The next morning during my quiet time, I realized that this was a perfect example to show me what my boys have had to go through. How frustrating this must have been for them. I knew that the information was in the computer; I remember putting it there, but for the life of me, I could not find it. I have found that my boys THRIVE when I read books containing lots of beautiful illustrations. They grasp material when they read information for themselves, because as they blend those words it adds the visual velcro they so desperately need. But the one medium that meets all their needs, whether they learn typically or differently is on-line computer based learning. The strong interactive graphics immediately pulls information to the appropriate part of the brain and the strong visual graphics help the information STICK and STAY PUT! They are able to build upon previously learned concepts like never before and their year end test results are the best they’ve ever been! As I prepare to graduate my first born son my heart is overwhelmed at how quickly this time has gone. Things that I worried about at the start of our journey seem so insignificant. I wish I could back and do it again, knowing all the things I now know, things I learned the hard way. I am forever grateful that even through my own learning curve as a homeschooling parent, I was able to be a part of their “AHA’s” and will carry my memories in my heart forever. Do you have a child who learns differently? Take heart knowing that “you” are their “perfect” teacher! No one loves or believes in them more! Thanks it is nice to be reminded that I am my childs perfect teacher, even on the rough days. hi, don't mean to post an 'ad' in your blog, but couldn't see how to send you a private email. if your older sons are having trouble reading, CAPD may be the trigger for their issues, but that just means they have to be trained different. I offer explanations and suitable training materials on my web site. if they are not having trouble reading, then just delete this comment, with my apologies. found it! isn't google amazing? just checking in again. i'm 'training' an adult student with CAPD who wants to learn to read properly (she reads, but not if she can avoid it). we're far enough along that the posts might be helpful to determine whether this will help your sons. Hi Tom, I just got this and I am so excited to go check it out.